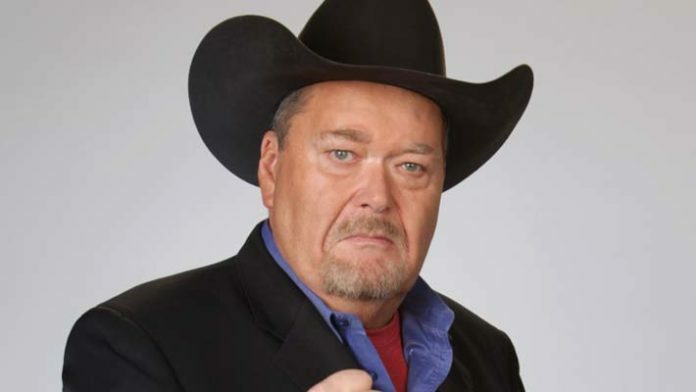 Jim Ross says distraction finishes are all too common. Seth Rollins is set to challenge Brock Lesnar for the WWE Universal title at WrestleMania 35. As such, it was surprising to see the babyface challenger pinned in the main event of Monday’s Raw. Rollins was distracted by Lesnar’s entrance music being played, then ate a Claymore Kick from Drew McIntyre, leading to the pinfall. Jim Ross takes issue with Rollins’s portrayal in his loss to McIntyre, and lays out his reasoning on this week’s Jim Ross Report. “I didn’t like the way that Raw went off the air, where, again, a music interruption causes the decision of a match to be determined,” says Ross. Ross continues, saying that Rollins was made to look foolish, in a way that the top babyface stars of another era would not have been. “Can you imagine Steve Austin or The Rock falling for that music interrupt piece of business? No. Because it wouldn’t happen,” says Ross. JR goes on to discuss the perils of trying to maintain parity among talent. “I have a big problem with trying to protect everybody on the roster,” Ross says. “But you can’t make your babyfaces, your heroes, your protagonists, look dumb, and get them over to the top of the mountain,” Ross says. Do you agree that Rollins was made to look foolish on Raw?